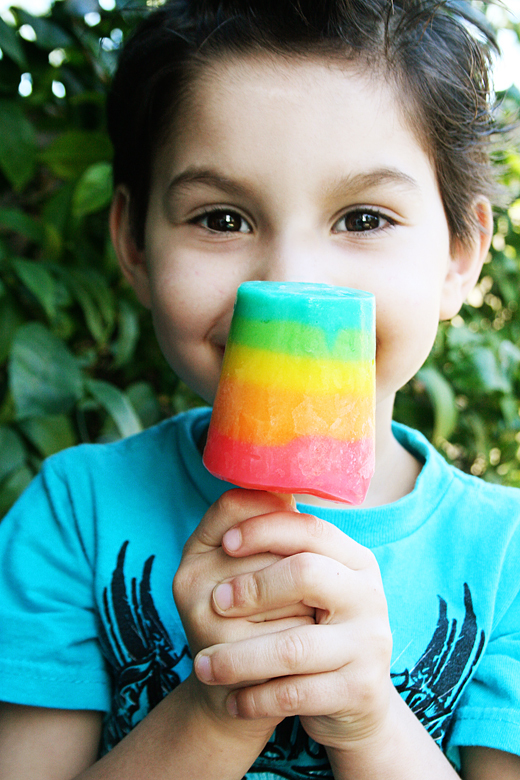 we love popsicles around here, especially pudding pops! 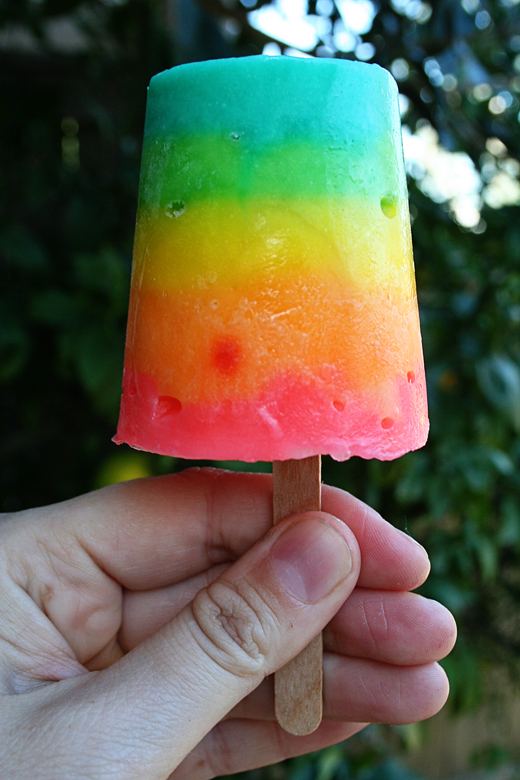 so we made some delicious rainbow banana pudding pops yesterday which are super simple to make….and they come out so pretty you just have to smile! the best thing about using pudding for the rainbow is that you don’t have to wait for each colored layer to set before adding the next color. since the pudding is thick, you can just layer them all at once. these are perfect for St. Patrick’s Day or any day for that matter. • let pudding stand until it has thickened a bit. 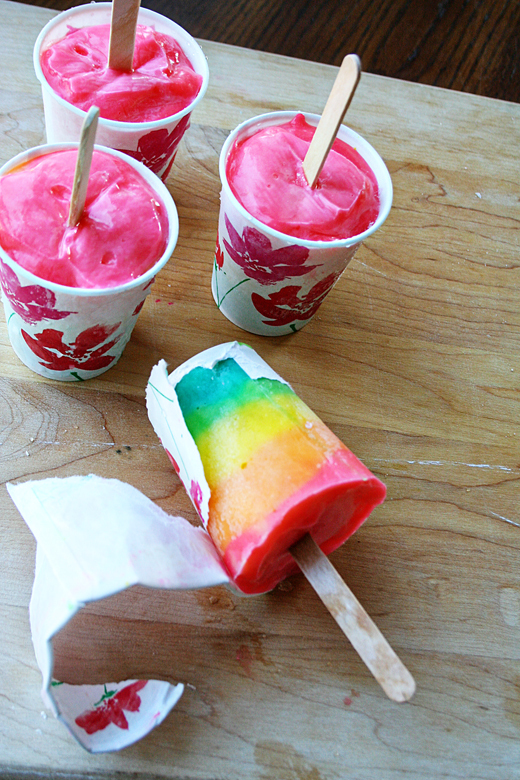 • divide into 5 parts and color each part with food coloring. • layer each color of pudding into small dixie cups. • cover with tin foil. insert popsicle sticks. • chill in refrigerator 2 hours, then place in freezer to completely freeze. • to eat, peal off dixie cup paper and enjoy your pudding pop!